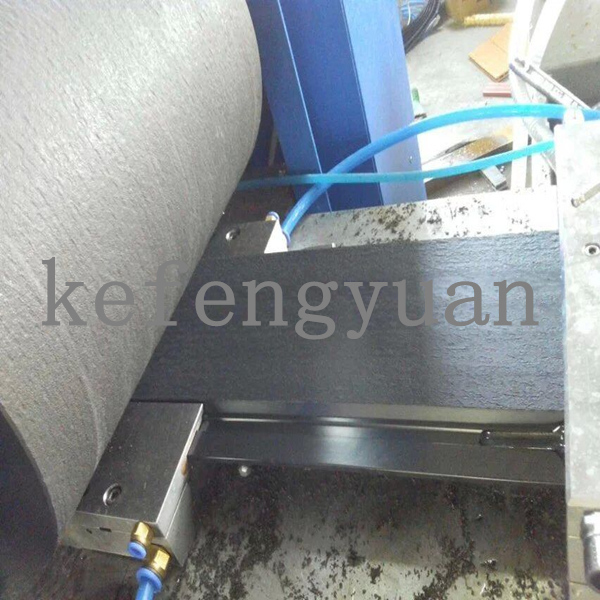 The machine adopts special designed barrel and screw, mould and working crafts to produce wood plastic composite products, simplified as WPC products. 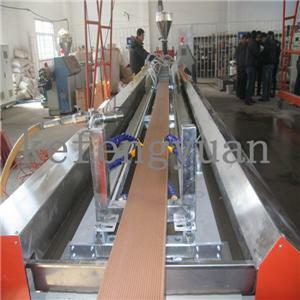 The extruder is of two steps mixing extruding or make the wood and plastic into pellets first, then use extruder to process; power and space saving, high capacity, stable extruding presser; the pre-heating loader is installed on top of the extruder, it can exhaust the moist remains in the wood power to make sure the extruding section of extruder is full, and guarantee a better plasticization result. 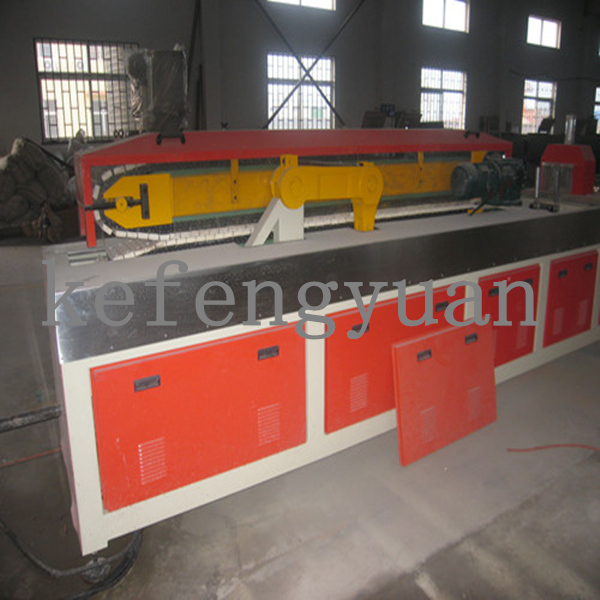 The optimal designed screw is of small shear force, which does not easy to shearing the wood fibers and makes the dwell time of material inside the extruder even. The barrel and screw adopts bimetallic treatment, anti-wear and anti-corrosion, extend the service life. 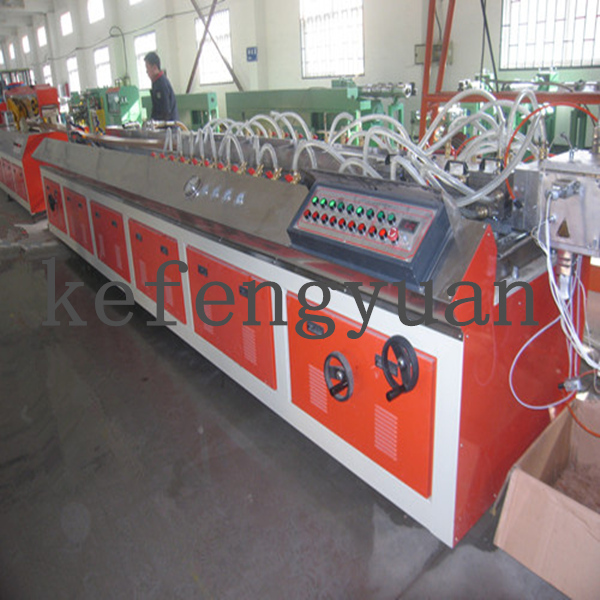 This PE WPC profile machine is suitable to produce the PP, PE, PVC + wood composite products, the WPC products are strong and durable, both have the advantages of plastic and wood products, at the same time, they overcomes the shortages of plastic products that is easily got deformed, and the wood products can easily get corrosion, damaged by worms, short service life, etc. They are popularly used as packing case and wood-polymer tray; flooring panel, indoor and outdoor decoration, plank flooring, pavilion and chair in park, etc. The amount of wood power or fibers can reach to 50-70%. There's calibration mould on the table, quantity of calibration mould is denpend on finsih product size.